Absolutely not. Most people who file for disability benefits, however, choose to have a representative and they are right in doing so. Social Security denies approximately 70% of disability claims at the initial level and approximately 90% at the reconsideration level. You need help from an experienced representative to make sure your case gets approved. We've worked for Social Security, now let us work for you! We have a combined experience of over 36 years working for the Social Security Administration - even longer in the business of disability. No one knows Social Security or SSI law better! 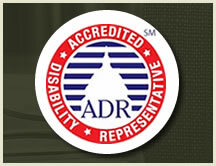 At Burton Disability Advocates our mission is to get you the disability benefits you deserve as quickly as possible. The disability process can be a long drawn out process and can cause a financial hardship on you and your family. That's why you never pay us a fee unless we win your case. Let our team of professionals help you. Our business model is based on our Christian values and a genuine desire to serve. We only accept clients who have legitimate claims. 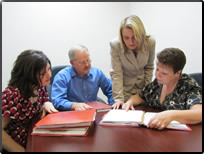 If we accept your case, WE WILL FIGHT TO GET YOU THE BENEFITS YOU DESERVE AS QUICKLY AS POSSIBLE. "God is not unjust; He will not forget your work and the love you have shown him as you have helped his people and continue to help them." receive.'" Our ribbon cutting to celebrate our new office a few years ago.